The DVD includes a great Photo Gallery. 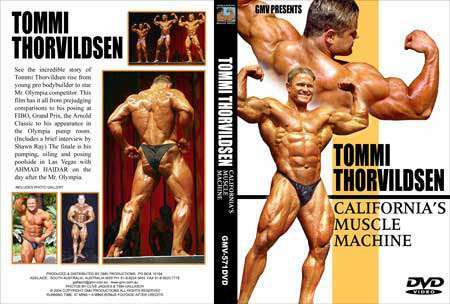 Tommi Thorvildsen, nicknamed “Glutezilla” for his glute development, is an IFBB Pro bodybuilder from Norway. At 5’10” in height, he has a contest weight of 260 lbs (290 lbs off-season) and went on from winning his first amateur competition in 1997, the Sandefjord Open, to win the national championships in the same year. 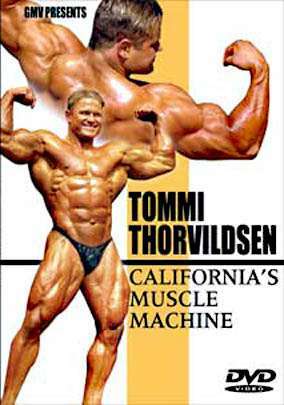 He got his IFBB Pro card after two successive wins of the Norwegian championships in 1997 and 1998. His first professional competition was the Toronto Pro Invitational in 2000, where he placed 18th. His highest professional ranking so far was the 2002 Austrian Grand Prix of Bodybuilding, where he placed 3rd.